We here at Beyond Carpet Cleaning are committed to excellent customer service. Our trained technicians really care about your satisfaction and the cleanliness of your carpets. 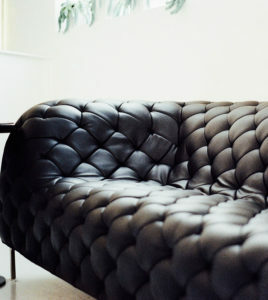 Our furniture cleaning and leather cleaning techniques are the best in the industry. We use only the latest technology and are fully committed to only using environmentally safe cleaning products that your carpets will thoroughly enjoy. We hire only the most dedicated carpet cleaning technicians, and it’s safe to say we have assembled a “dream team” of fabric cleaning experts. Our furniture & leather cleaning technique will leave your cherished window shades and sofas looking better than brand new. We here at Beyond Carpet Cleaning respect your family heirlooms as if they were our own. Our technicians are dedicated to a superb customer experience that leaves you satisfied with our furniture & leather cleaning work. We invest in the best service people and the latest technology so that your house will be a home. Each one of technicians has years of experience cleaning and repairing all kinds of fabrics, including the most delicate of furniture & leather. Your satisfaction with us and our service is absolutely, positively guaranteed. We are dedicated to leaving your home in a state of grace. You will feel blessed by our excellent customer service and the godlike cleanliness of your furniture & leather upholstery. Our cleaning solutions are all 100% green, clean, good for the environment and safe for use around your children and pets. Call today to schedule your appointment with Beyond Carpet Cleaning.